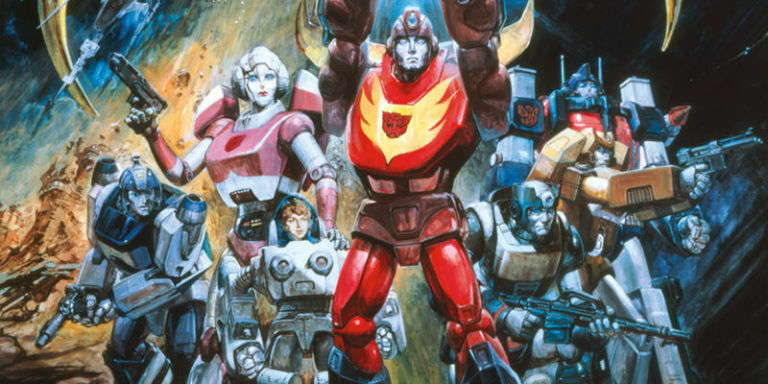 A classic animated movie and quite possibly the best Transformer movie of all time, Transformers: The Movie, is getting a one night showing this September. A film that hasn’t been seen in theaters since I was a child and I’m 42-years old as I write this. Come this September 27, 2018, you’ll get to see this gem in theaters. That is if you want to. I mean, this is a film that has seen not only a VHS release. But also a DVD and more recently, a remastered Bluray release by Shout! Factory. As for me, I picked up The Transformers: The Movie Limited Edition 30th Anniversary Steelbook. How could I not? As an added bonus. if you’re looking forward to the upcoming Bumblebee movie, then you’ll want to check this out. A sneak preview of the making of the Bumblebee movie. Yep, something for the old and new. Besides, who doesn’t want to see the eternal battle before long-time foes; Optimus Prime and Megatron. Feature the voice talents of Peter Cullen (still the best prime) and the late Leonard Nimoy as Megatron/Galvatron. I loved the dialog as a child and I still do til this day. Sure, the movie served as a passing of the guard. The older G1 Transformers making way for the new and exciting toy line-up. With many of our old favorites such as Wind Charger, Ironhide, and Prowl, giving their lines in the line of service. Thankfully, not all the old cast died. Ain’t that right Jazz… oh, that’s right. Michael Bay still managed to kill him off. Dang it. If you’ve never seen it, yet consider yourself a fan of the transformable toys. Then you owe it to yourself to check it out. Just be ready for the wave of nostalgia and rock music to sweep over you. As for me, Transformers: The Movie is constantly on rotation in my home. There’s not a month that goes by that I don’t watch it. In fact, I’m watching it right now. Oh, just hope that when you see the film, I’m not in the same theater as you. I tend to recite the movie, word for word. Is that a bad thing?